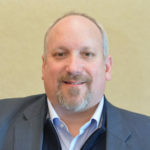 Master Data Management - How Much Does It Matter? Yes. 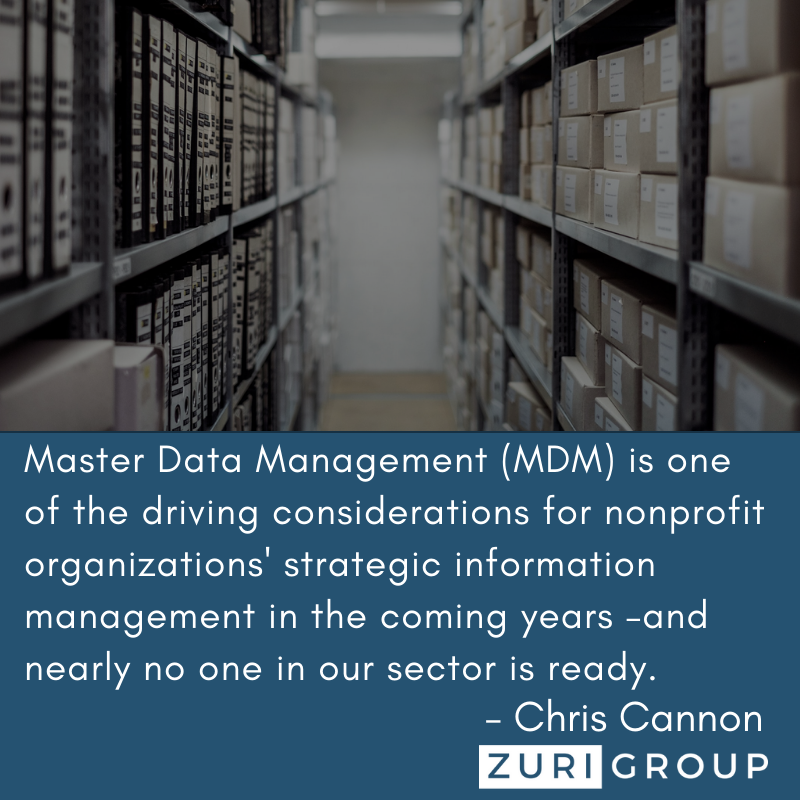 Seriously, master data management (MDM) is one of the driving considerations for nonprofit organizations’ strategic information management environment in the coming years –and nearly no one in our sector is ready. MDM is the solution needed to integrate, validate, and curate an organization’s “golden record” per constituent across various applications. A great MDM solution provides a active, real-time repository to track all of an organization’s constituent data. The big dogs in data management–Google, Facebook, Microsoft, Amazon and others–have this handled. There’s a reason sites want you to log in using your Facebook account–they know it’s the right “you”! And, then, so does Facebook. And then, you get new ads. While advancement teams often have the “golden record” for many/most alumni records, there are additional organizational resources and sources of data to consider. A few years ago, I would have argued more forcefully that advancement records are the best set of contact information about a constituent. But the more available scrapped purchase, registration, subscription, and other data are made, the more likely the data in other places than the advancement CRM may be better. Now, fresher and more complete data may be housed in dozens of departments and applications across your organization. If you can link, say, event registrations in one part of the organization, with onsite purchases from another, with social data management from a third resource, with your “database of record”, imagine what you might learn. Imagine how up-to-date your contact emails and phone numbers might be. This is why the idea of MDM matters. Why is MDM different for nonprofits? Nonprofit tech tends to be years behind consumer tech, which is one reason higher ed, healthcare, cause and cure, and other nonprofit groups are lagging behind this trend. Five years ago, the match rates for MDM-ish applications were around 80%– too low to meet the high standards of data integrity in our advancement offices. Now, the tools are better, the data matches are higher, and the tolerance for some inaccuracy seems to be widening. We still have difficulties ahead, including our own (sometimes antiquated) business processes, but waking up to the value of MDM is a start. While money and tech solutions are means to the end of adopting MDM, the organizational considerations are harder. Your team will need to adopt organization-wide data governance across disparate departments. You will need to adopt data standards and metrics to show when, where, and how progress is made. Your team (or a trusted partner, like Zuri Group!) will need to become exceptionally expert with data integration. And, your organization will need to persuade constituents to share data at levels and in ways not presently achieved (think: why would your constituents give you their cell phone?). These are tough outcomes to orchestrate, but small, deliberate steps can get you there. How else should you prepare? Start by cataloging applications and data values and depth. Determine if there are additional data sets/applications that house information that would better inform the “golden record.” Establish a data dictionary to explain how departments define key fields and values. Evaluate options for integrating social data from key sites into your database of record. Review the potential of your database (or likely some data warehouse) to support MDM or start a selection process of the options in the market. This is a topic you’ll want to start considering now. If you’ve already done it, please share what’s worked best for you. And if it’s on your road map– good luck! Does your organization have a plan for MDM in place?